Bizzibrains owner Nic Lansdell said children who play tested I imagine loved putting themselves and the two other characters in the story by typing and recording their names, taking a photo face and choosing hair and clothing. ‘Children have been engaging with the story and exploring the pages to discover loads of fun interactions,’ she explained. I imagine isn’t just for kids, parents will be impressed with the educational features of the app. Children listen to and follow instructions and learn to type their names. They are encouraged to explore the story pages to find interactions themselves. ‘Parents love I imagine because it encourages active, independent, imaginative play for children,’ the working mum said. 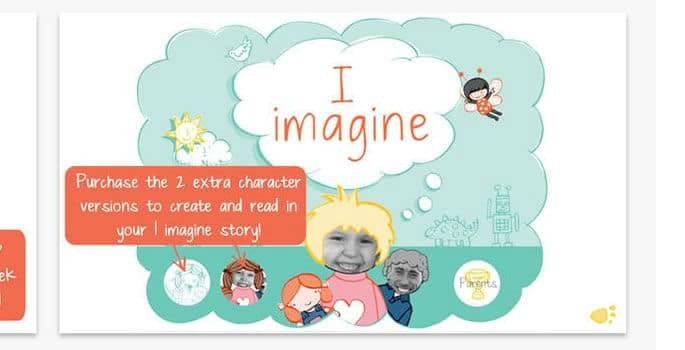 “A passion for stories, illustrations, music and children inspired me to create this app. Once I had the idea of Bizzibrains clear in my head I was so excited about taking on the challenge of bringing it to life,” Nic said.